I run to relive stress and be healthy. Running makes me happy. During my 2nd marathon in 2007 Chicago, I was in so much pain after 14 miles due to extremely hot weather. By the time I reached to 20 Miles mark, I saw most runners are either walking or sitting on the side walk but I keep running because my friends were waiting for me at 24Miles and I was afraid I will missed them. When I crossed the finished line, I felt like I run to hell and back. About 20 minutes after I finished the race, the race was canceled due to weather. I was disappointed my time(3:35:45) at first but when I look back the race, I did one of my best race ever. Seeing someone achieve his/her goal is the best rewarding part of pacing and it make me feel good. 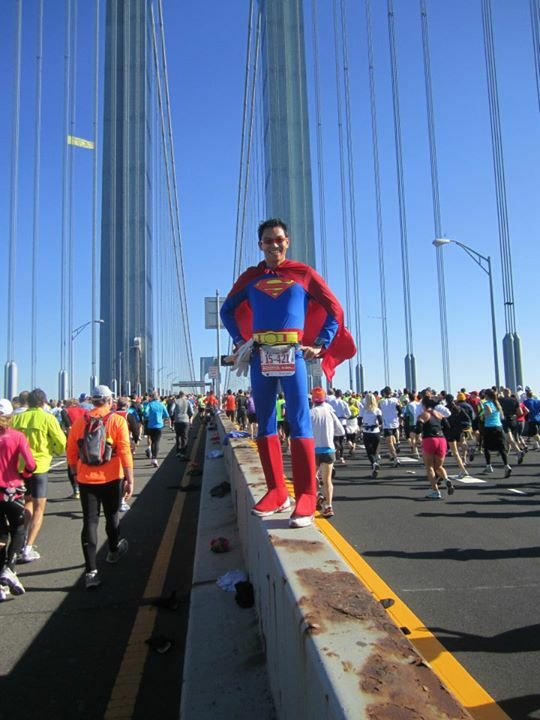 In 2010 NYC marathon, I pace one of my friend. She didn’t train well due to injury but she was determining to finish her 1st marathon. Last a few miles, I told her to keep smiling and I asked the spectators to cheer for her and she forgot about all her pain for awhile. When we crossed the finished line, it was the best feeling ever.